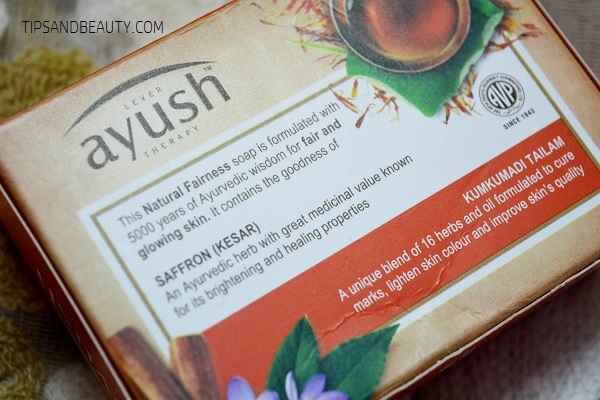 I will review this new Ayush Natural Fairness Saffron Soap which is the one that I am using currently. Actually, I have bought all the three soaps from Lever Ayush. And I am using all these simultaneously. I like using different soaps for different days. 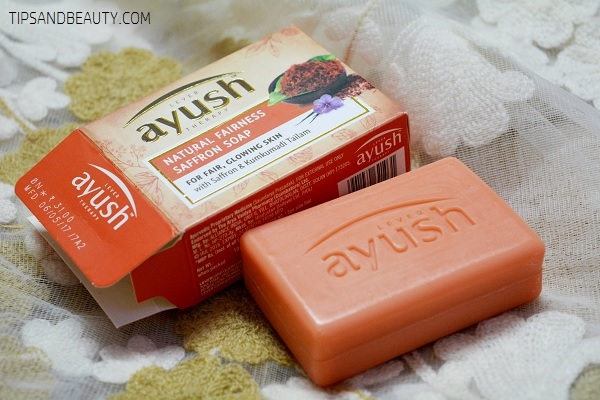 I have this one and the other two Ayush Soaps like the cow’s ghee soap and the turmeric soap. This fairness soap is a light peachy colored soap and honestly the color of the soap is really pretty. 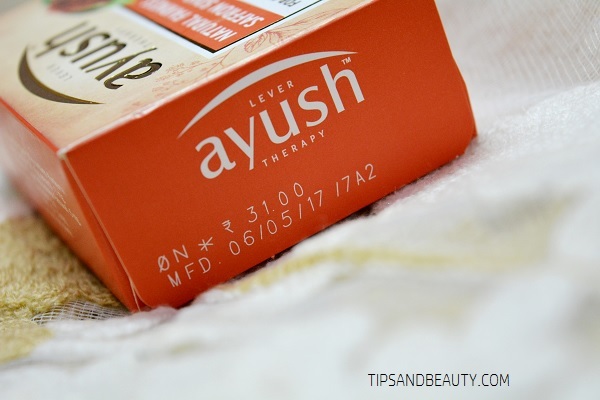 So, is this Lever Ayush soap a good soap for everyday use? Or is it just the regular fairness soap? Let’s check in this review folks. 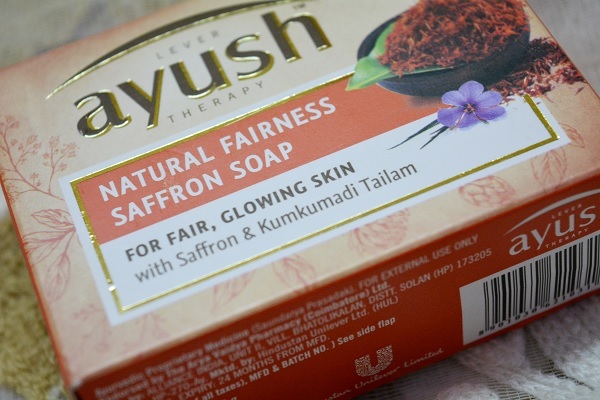 Ayush Natural Fairness Saffron soap is formulated with Ayurvedic knowledge for fair and glowing skin. It contains the goodness of Saffron (Kesar) & Kumkumadi Tailam. Saffron (Kesar) is an Ayurvedic herb with great medicinal value known for its brightening and healing properties. Kumkumadi Tailam is a unique blend of 16 herbs and oil formulated to cure marks, lighten skin colour and improve skin’s quality. Natural Fairness Soap with Saffron has the goodness of Saffron (Kesar) & Kumkumadi Tailam. Saffron (Kesar) is an Ayurvedic herb with great medicinal value known for its brightening and healing properties. Kumkumadi Tailam cures marks, lighten skin colour and improve skin’s quality. Kumkumadi Tailam is a unique blend of 16 herbs and oil. 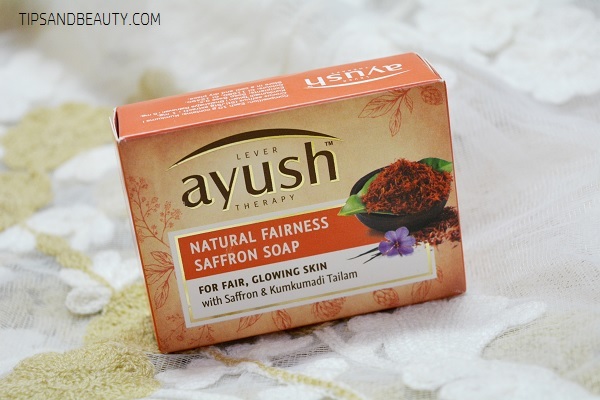 Ayush Natural Fairness Saffron Soap is packaged in a square carton with peachy colored box. I liked the packaging. In fact, the packaging for all the three soaps is really enticing. The box has all the information about the product, price and what does it contains. This is a soap that costs 31 rupees for 100 g pack. I find the size to be quite travel friendly as if I am travelling, I can conveniently keep this with me. It does not take much space in the bag. The soap is a bright peachy in color and has a rectangular shape. 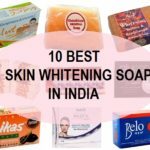 It lathers well and just like any other soap that you must have used. The soap also reminds me of Lux soap. Moreover, it has the texture and appearance just like the lux soap. 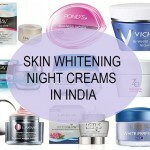 Point to be noted here is that Lux is also a brand of Hindustan Unilever. 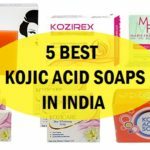 It is not a glycerin soap which can be very moisturizing but an average kind of soap. 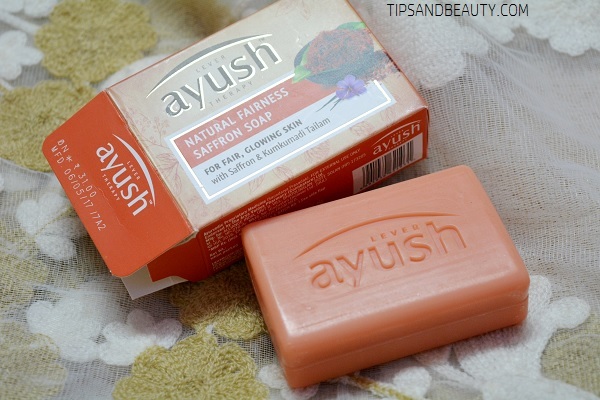 This Ayush soap is made for the fairness purpose as this is rich in the ingredients like the saffron and kumkumadi tailam. These two ingredients were also there in the Ayush Saffron fairness cream. I have used this for so many days and honestly, there was no fairness as such. 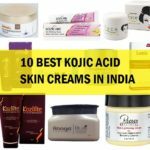 This gives the lathers like any ordinary soap and the formula or the after effects are also not impressive like this is not moisturizing enough and leaves the skin a bit dry in winters. Also there was no fairness. This was just like any other soap so I am not impressed or too happy with this soap. But there is one thing that has to be taken care of. And that is that this melts faster than the regular soaps therefore keep this soap in dry place. Ayush Natural Fairness Saffron Soap is just an ordinary soap that does not give adequate moisturization or the fairness as claimed. I did not like it much as it is like any other soap so there was no difference in this. I thought it would be at least moisturizing which it was not. So, overall, it was not bad but then other soaps are also like this only so, what’s the point in getting this soap.